Alarms that work by redstone signals. Alarmcraft 1.7.10 is a fairly simple mod, yet it only adds an object to the game. an alarm. 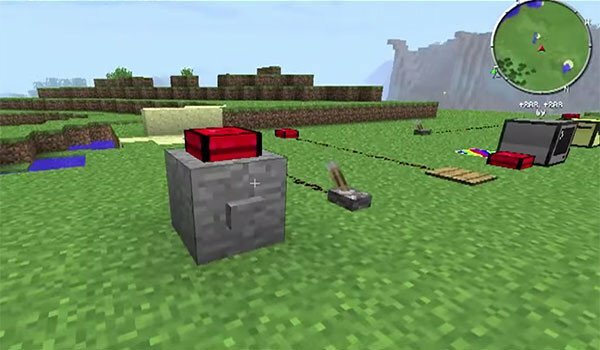 This alarm is activated by the contact with the redstone signal, so it can be illuminated both by Redstone torches, by levers, pressure plates and even light sensors. To set the alarm sounds, once the object placed anywhere, we right click on it. This will access a menu where you can try out the available sounds for alarms. Among them there is also an option called “Bomb” that will provoke an explosion. How to install Alarmcraft Mod for Minecraft 1.7.10? Double-click the downloaded file to run Forge isntaller. Alarms and sirens to spice up your Minecraft worlds!